Robert Bosch GmbH broke ground last week on its second diesel fuel injector plant in China. The 1.6 billion yuan ($257 million) facility in Qingdao in east China's Shandong province will start production in 2018. It will mainly make diesel fuel injectors for light- and heavy-duty trucks as well as cars, the German supplier said in a statement. Bosch's first common-rail injector plant is in Wuxi in east China's Jiangsu province. Like the first plant, the Qingdao plant will be jointly owned by Bosch and Wuxi Weifu, a Chinese diesel injector manufacturer. In July, China will adopt the National 4 emission standards, which are similar to the Euro 4 emission standards. 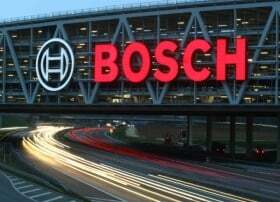 Bosch expects tougher emission controls to boost market demand in China for its diesel technology.